Liverpool decided against teenage Sergio Aguero because the Argentine was out of the club’s price-range, former boss Rafa Benitez told his press-conference before Newcastle’s game with Manchester City tonight. Benitez’s Magpies side must beat City if they’re to have any genuine chance of avoiding relegation, but will have to stop in-form Aguero if they’re to do so – with the striker fresh off the back of a hat-trick against Chelsea. But the former Liverpool boss has revealed he wanted to sign the Argentine during his Anfield tenure, only for cash to get in the way. “I was Liverpool manager. They offered him to us as a young player for big, big money. 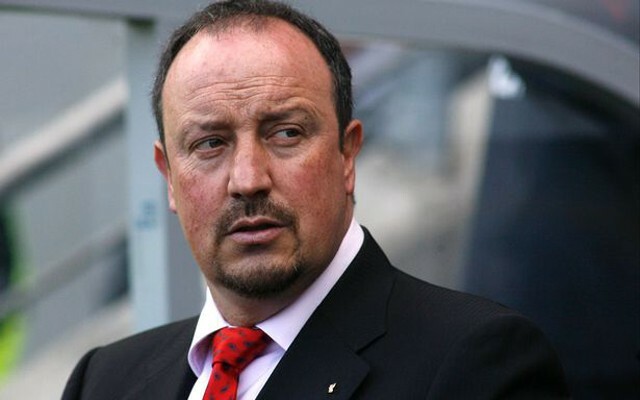 But he signed for Atletico Madrid,” Benitez said, reported in the Manchester Evening News. Aguero broke through at boyhood club Independiente as a 16-year-old, but was snapped up by Atletico in 2006, before signing for City in 2011. He’s since gone on to bag 133 times in 202 matches and establish a reputation as one of world’s very best strikers. If it were not for injuries, his record would be even more impressive. It’s definitely a case of what could have been, as Aguero openly sought a Liverpool move when he was still in Argentina. “If I had to choose a league then it would be the Premier League,” Aguero said in 2005, reported by Sky Sports. “I have been a Liverpool fan for as long as I can remember and it would be a dream to play there. Lack of financial pulling power also cost Benitez in his pursuit of Dani Alves, then of Sevilla, who of course went on to become the world’s best right-back with Barcelona. The Spaniard did make blockbuster signings which included Javier Mascherano, Pepe Reina, Xabi Alonso and Fernando Torres, but if he’d have got who he wanted under the tortuous reign of Hicks and Gillett, who knows what he could have achieved with a side led by a peak Steven Gerrard.